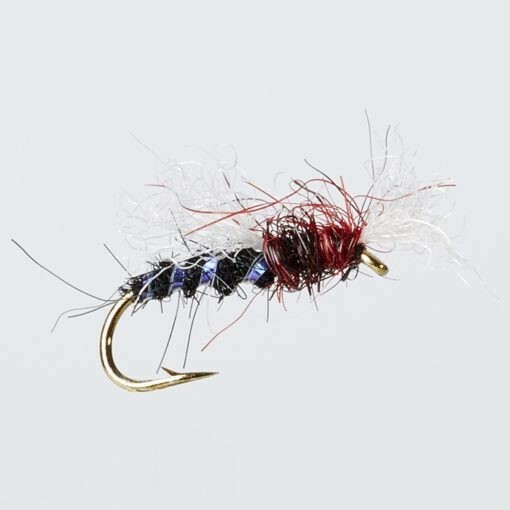 Black and Claret has always proved a deadly combination on stillwaters and this emerger pattern is a great fly when the trout are feeding in the surface. Apply floatant to the white antron breathers which allows the body of the fly to sit in the surface film. This is a great dry fly pattern during a midge hatch on all reservoirs.